Call-Me-Now- Convert website visitors into callers. VoiceMailTel’s Call-Me-Now feature helps convert website visitors into callers. Lots of web traffic means NOW lots of calls! The Call-Me-Now feature prompts your website visitors to call you. All they do is click on your website on the Call-Me-Now button. After they enter a phone number, VoiceMailTel makes the phone connection for you. People anywhere in the world can call you at no cost with the Call-Me-Now feature. And all it takes is the click of a mouse. No long-distance dialing and no country codes. You make it easy to do business. Sure, lots of people plan to call…eventually. But how many scribbled notes with phone numbers get set aside? Get the calls while they’re hot, with VoiceMailTel’s Call-Me-Now feature. You get them while they’re hot. Using your online portal you can decide who talks to your visitors. With Call-Me-Now, you match your website callers to any of your VoiceMailTel extensions or auto attendants. You’re in charge. DON’T WAIT FOR THE TECH DEPARTMENT to set it up. You can do it yourself. It’s simple, with VoiceMailTel’s Call-Me-Now feature. With VoiceMailTel’s CALL-ME-NOW, you make it even easier for clients and prospects to contact you. There’s no dialing, simply a mouse click. You make your company look and act professional. When your website visitors click the Call-Me-Now button, they are prompted to enter a phone number. 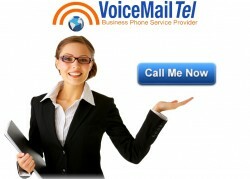 VoiceMailTel then dials out to your website visitor for you. Your website visitor can be connected to any of your extensions. If your visitor calls outside of your operating hours, a callback request form opens. Once the visitor has submitted contact information, you receive an e-mail with the callback details. Call-Me-Now settings are easy to change. You can do it yourself, as often as you want. How do I change the company name in the Call-Me-Now pop-up window? 1. Go to the System / Call-Me-Now page. 2. Set the name by entering it into the Display Name field. Where are callback-request e-mails sent? The call back request is sent to the e-mail address you have assigned to your VoiceMailTel account. How do I add the Call-Me-Now button to my website? Get the HTML code from your VoiceMailTel Portal. You simply copy and paste this code into your website wherever you want your Call-Me-Now button to be displayed. Do I have to change the website code for my Call-Me-Now button every time I change the settings in my portal? No. Once you have pasted the code into your website it continues to work, even when you make changes using your online portal. Contact us today to find out more about VoiceMailTel’s Call-Me-Now feature.